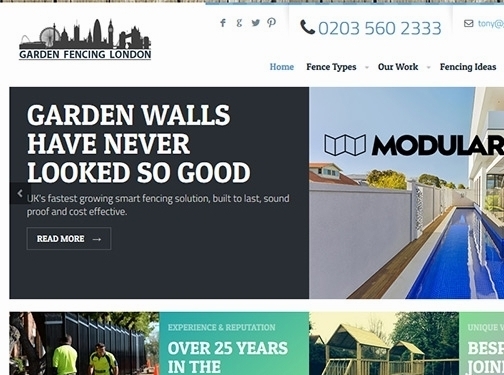 With our 45 years of experience within the fencing installation industry we became one of London's most trusted and favourite garden fencing company. We serve all greater London and guarantee to beat any comparable quote. It is our goal to provide our customers with the highest quality products (at low prices) along with expert advice. We currently install the following fence types metal fencing, wooden fencing, concrete, trellis, picket, wire, palisade, security fencing and many more. Our team at Garden Fencing London continues to deliver customer satisfaction by providing customer service excellence so you'll definitely be pleased with the outcome contact us today for a free quote and straightforward, educated advice. UK (London) based business - with over 45 years' experience - providing fencing services. Website includes details of services provided, testimonials, work examples, full company contact details.